Dinosaur Comics - November 2nd, 2018 - awesome fun times! –And THIS GUY has grown grown 7 of 'em! November 2nd, 2018: I do like comics where the huge expanse of Earth's time becomes visible. 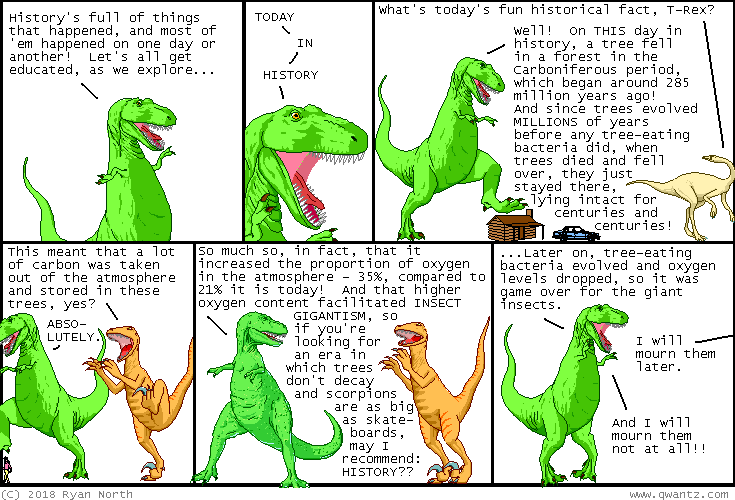 The Carboniferous period is ancient history to T-Rex, Utahraptor, and Dromiceiomimus too!